Many varied industries use mathematical and statistical skills. Employment opportunities for people with a strong mathematical and statistical background are expected to grow strongly for the next few years. 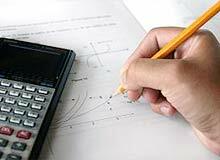 Most careers in areas such as engineering, system analyses, accounting and building require an understanding of mathematics or statistics. Further study and qualifications may be necessary to progress your career, depending on the particular field. 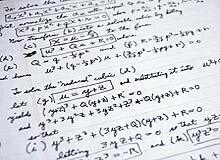 Mathematicians may choose a career in mathematical research and education, or utilise mathematics and its applications to build and enhance important work in the sciences, business, finance, manufacturing, communications and engineering. Statistics is a discipline that is concerned with designing experiments and other data collection, summarising information to aid understanding, drawing conclusions from data, and estimating the present or predicting the future. 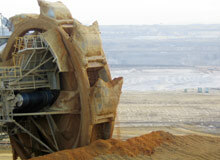 Production Schedulers typically work in manufacturing and mining. They schedule manufacturing and other processes to maximise efficiency and meet customer requirements. An Operations Research Analyst applies scientific methods to problems concerning the management of systems of people, machines, materials and money in industry, business, government and defence.